All in all site has a collection of more than 12,000 videos that cover a variety of topics aside from those mentioned above. The collection includes other sciences such as Physics, Engineering, Astronomy, and Computer Science. 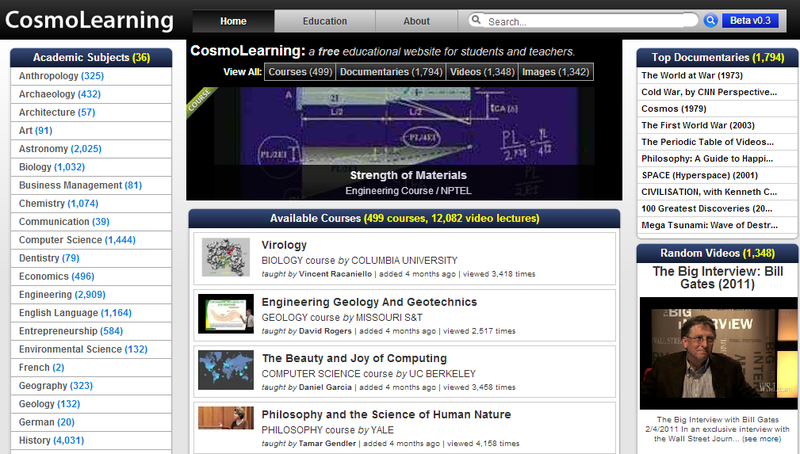 Social Sciences videos are also available.